If you are using the free SMTP service provided with your UKC hosting account then sometimes there may be problems with deliverability to the free email providers. As this is a shared service, performance may be limited by the actions of other users. For example, rogue users could cause a build-up of backlogged mail, and can even cause the server to become temporarily blacklisted. There is also the possibility that some users may be using the system to spend spam and other malicious email. In this case, other email systems may see this spam and blacklist the server. This could cause your emails to be delayed or, in the worst case, bounced back. All of the large providers offer a “safe senders” list. You should ensure you ask your clients that use free email addresses as the contact details to ensure your domain is added to their “safe senders” list to ensure deliverability. For best SMTP performance we recommend that you use your ISP SMTP server. 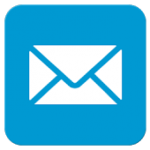 See: Which SMTP server should I use to send email? UKC email not arriving at your Hotmail address?